Each product will vary in aesthetics as different The North Face tents have been recycled and reused across the entire collection. The collaboration has seen tents provided by The North Face, owned by the VF Corporation, to be turned into a range of bags by designers RÆBURN. The bags are available online or at The North Face’s Urban Exploration store on Carnaby Street. 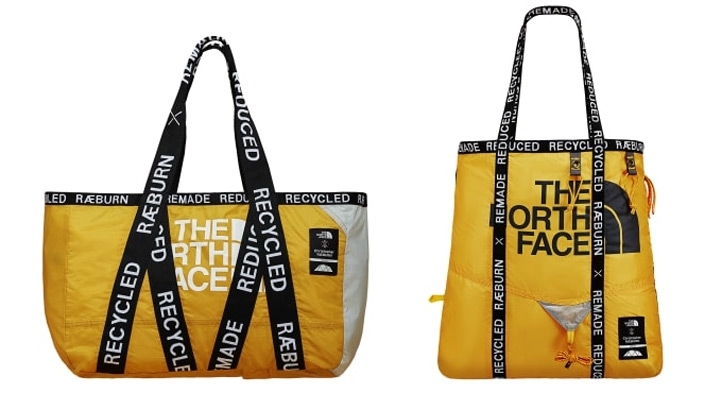 “The North Face has been inspiring a global movement of exploration and conservation for over fifty years, and we couldn’t be prouder to be collaborating on this special project, applying our RÆMADE ethos to transform surplus tents into unique bags,” Christopher Raeburn said.